When police knocked on his door the night of September 7, 2014, Alexander Brangman assumed it was a noise complaint. He had been watching football with friends at home when two San Diego Police Department officers arrived. Instead, it was the beginning of what would become his worst nightmare. The officers needed to confirm that Brangman was the father of Jewel, his 26-year-old daughter. Then they told him to call a social worker at a hospital in Los Angeles. Over the phone, the social worker told Brangman that Jewel had been in a car accident. She warned him to be prepared. Jewel Brangman was the eighth person to be killed by an airbag produced by the Takata corporation, in what has become the largest recall to date in the history of the automobile industry. Car companies nearly two decades ago began switching to an inexpensive airbag design utilizing the propellant ammonium nitrate. Evidence that the chemical could became dangerously explosive over time, causing the metal canister inside the bag to explode as well, would not see the public light until years later, after people like Jewel were killed in relatively minor car accidents. Twenty-one fatalities in total have been linked to the airbags, which have been installed in so many cars that millions of consumers have no choice but to wait for a repair. Experts predict that the recall will continue to expand indefinitely. No one else involved in the accident that took Jewel’s life even had their own airbags deploy, much less a serious injury, her father tells ConsumerAffairs. But Jewel had the misfortune of driving a 2001 Honda, which was already under recall at the time due to concerns that its Takata airbags were dangerously explosive. The car was a rental, and Jewel would have had little clue that it shouldn’t have been on the road. A ban on renting out unrepaired cars under recall didn’t go into effect until 2016. Though the ban came too late for Jewel, testimony from her father and other grieving parents “made all the difference” in getting it passed, says Rosemary Shahan, the president of the Consumers for Auto Reliability (CARS) Foundation. No longer needing to work after suing and securing a settlement from Takata, Honda, and Sunset Rental, the rental car company that loaned their vehicle to Jewel, Brangman is now spending his time lobbying for more consumer safety protections in vehicles and trying to keep his daughter’s memory alive in interviews, on social media, and, eventually, he hopes, in a book or a film. Brangman had won custody of Jewel and her older brother after divorcing their mother when they were children. He raised them in an upscale New York suburb and supported his family by teaching law. A musician, Brangman had become interested in intellectual property law by chance after two of his songs were stolen. Though he didn’t finish law school, he received paralegal certification and found a stable job teaching law to community college students. His familiarity with the legal system and textbook cases involving deadly defects in cars made him uniquely prepared to take legal action after Jewel died. Jewel was an accomplished gymnast with a master’s degree in journalism who moved to California in hopes of eventually pursuing a PhD at Stanford University in professional counseling. 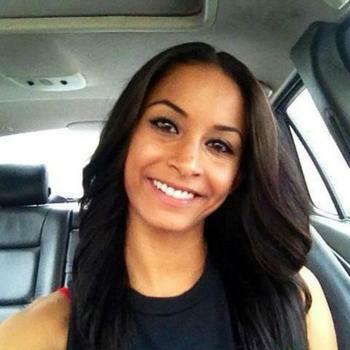 In San Diego and Los Angeles, she modeled professionally and taught gymnastics. “Jewel wasn't someone that was like, 'Oh I want to be a movie star,' ...this was a stepping stone to do something for a greater good,” her father says. She had many friends, a diverse array of interests, and a hard-working attitude and hustle, her father recalls. In addition to teaching and modeling, she found work walking dogs along her favorite beach and house-sitting mansions belonging to the rich and famous. A free-spirit, she loved the beach and was interested in Eastern philosophy. She hoped to write a series of self-help books one day. Brangman had followed Jewel to California to be closer and help support her financially. The day she died, Jewel texted him a photograph of the set where she was working on a modeling gig, adding in a note that she loved her life. “She was implying that she loved her life that I gave her,” Brangman said. After she died, Brangman gave himself little time to grieve. Instead, he carefully researched law firms and presented his case to them as if he was on the payroll. The firm he eventually selected helped him secure a settlement that he says is unprecedented in the Takata scandal, though he cannot disclose the amount under the terms. “You may see me smiling, but I am heartbroken, devastated about this, and I often have to use the exercise of intellectual removal of emotion,” to go on and continue advocacy work, he says. He says his son his struggles with anger over Jewel’s death. The Raechel and Jacqueline Houck Safe Rental Car Act, prohibiting rental car companies from loaning out unrepaired cars that have been recalled, is named for sisters who were killed in 2004, after the PT Cruiser that they had rented caught fire on the highway. One month before the girls had rented the Cruiser car from Enterprise, Chrysler recalled it over concerns that the power steering hose could leak and catch fire. Enterprise initially fought the family and any reform that prevented the renting of recalled cars, but something shifted in late 2015, over a decade after the girls died. Despite a Republican-controlled Congress, The Safe Rental Car Act passed in 2015 after rental car giants Hertz and Enterprise agreed to lobby alongside Shahan’s organization. But the reforms don’t go nearly as far as he or consumer advocates would have liked. For starters, only rental cars are affected. Used cars don’t come with the same protections, meaning dealerships can still sell used cars with open safety recalls and no fixes available. AutoNation, the country’s largest car dealership chain, had voluntarily agreed in 2015 to stop selling used cars with open recalls—but shortly after Trump was elected, the company backtracked. "If parts are available, we repair them," AutoNation CEO Mike Jackson told Automotive News magazine shortly after Trump’s victory, explaining that the company would only fix used cars if they have parts on hand. A study that Shahan conducted last year similarly found that CarMax is selling vehicles that need replacement airbags that likely won’t get fixed anytime soon. Takata is now responsible for supplying replacement airbags in the cars that are recalled, a situation that puzzles Brangman.“Why is the government allowing the culprit who caused the problem to fix the problem?” he asks. In fact, Shahan says that some of the newer Takata airbags going into vehicles are prone to the same defect as the airbags that they are replacing. "As vehicles [with the faulty airbags] age, they get less and less safe, because it's all about that ammonium nitrate becoming more and more volatile,” she explains. 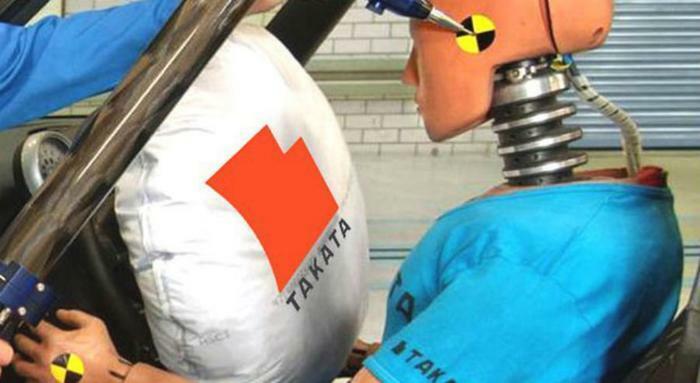 Until another corporation can displace Takata in the airbag market, that may be the only solution for now. Brangman, for his part, has learned from working with Shahan and other safety advocates that reforms take a long time in Washington D.C, especially where the automobile industry is concerned. The industry holds enormous sway over Washington, and getting the public interested in product defects in cars isn’t an easy task. Twice, press conferences he had planned to make with Senators about Takata were postponed because of mass shootings that consumed the news cycle that week. And with the current administration favoring a deregulatory approach to just about everything, he worries that change will stall further. “The whole complexity of this problem,” Brangman reflects of how regulators have approached the Takata recall, “boils down to reacting as opposed to being proactive.